X-Factor head judge Simon Cowell has once again made headlines and, unsurprisingly, it's not positive attention. This time though it has to do with sabotaging one of his own contestants. Last week soul singer Anton Stephans found out he made it through to the second live show. He was so ecstatic, he lunged at his coach Simon Cowell for a kiss but accidentally head butted him instead leaving Cowell with a shiner and a very unhappy face. With this week’s theme being “Reinvention”, Cowell decided to have Anton perform a mashup of Meghan Trainors “All about the Bass” and Jessie J’s “Bang Bang” which led to a disaster performance. In the past Anton has performed soulful ballads by artists such as Ray Charles and Luther Vandross which compliment and show off his voice and capabilities. After Anton finished his piece, X-Factor fans and judges alike were flabbergasted at the song choice and performance. Judge Nick Grimshaw said, “I don’t know where to begin, Anton. 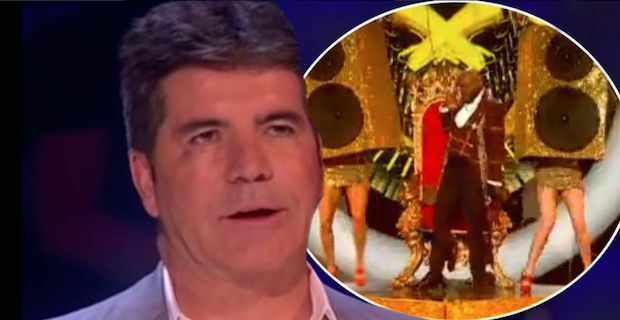 That was like watching a really bad musical.” Fellow judge Rita Ora had similar thoughts but said it was Simon’s fault for the poor song choice. "That disappointed me because I'm an Anton fan. I don't know if that headbutt made Simon go crazy or what. But your strength is emotion. I don't know why you were singing a song about shapely girls. That was bad!" “Simon Cowell has either lost it, or wants to sabotage himself…"
Undoubtedly there will be more drama to come in the following weeks of X-Factor.